Less like a lamb, more like a lion. 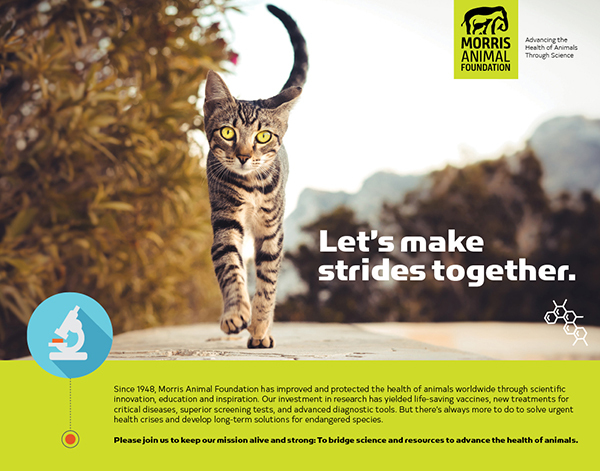 Earlier this year, Launch was honored to partner with Morris Animal Foundation to help evolve their brand. This amazing organization has been improving the health of animals worldwide for nearly 70 years. And they are based right here in Denver! While the multitudes of species they serve tend to keep their gratitude to themselves, we thought it was time to help MAF speak a little more boldly about all of their scientific advancements and accomplishments. Chances are, your kitties and pups are healthier today because of the work of Morris Animal Foundation.